We spend a significant percentage of nearly every day asleep. 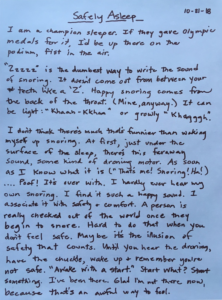 Write about what sleeping is like for you. Many of us have habits and rituals that surround sleeping. How do you prepare for sleep? How do you emerge into wakefulness? 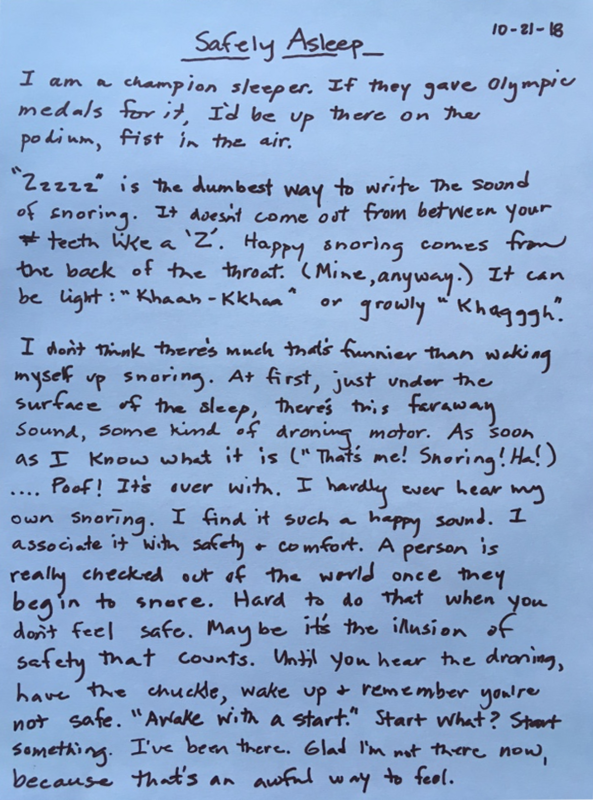 What are you aware of while sleeping? Have others told you about things you do while asleep that you are not aware of? How do you manage situations when you can’t sleep even though you need to, or when you are sleepy but must stay awake? Everyone sleeps, but the actual habits of sleeping are personal and unique. Fill a page describing some of yours. When you have finished, give your work a title and be sure to write the date on it as well.